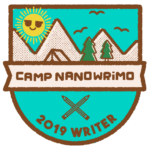 This entry was posted in CampNaNoWriMo, Creative, Learning / Education, NaNoWriMo, Writing on March 5, 2019 by GirlNovember. I’ve spent almost 3 years streaming on Twitch, trying to build a brand and creating a thriving community. I started streaming when I lost focus with my writing and lost confidence in my abilities. But after 3 very long years where writing has largely escaped me, I am working my way back to my main purpose: To write, and to get published. There is a lot of fear to overcome. And guilt. But I am confident I can do this. I will still be streaming. But expect a schedule shift so that I can begin to accommodate writing, as well as instruction, into my routine as I get back into the groove. 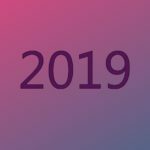 This entry was posted in Administrative, Learning / Education, Streaming/Broadcasting, Twitch, Writing on March 3, 2019 by GirlNovember. I have an awesome community on Twitch! Over the past several months, many viewers have used their in-channel currency, which they earn while watching my broadcast, to fund various charity knitting projects. Many viewers have funded hats, scarves and yarn — and today, I was able to deliver the first batch of hats and scarves to the Loudoun County Homeless Services Center. A total of 16 items, 4 scarves and 12 hats, were delivered to the Homeless Services Center. I want to thank the following viewers for their generosity and help with this donation: Viewers Gussoo, FlyinPinkMunki, WelshTroll, LoveOfAmi and Emoten, who funded hats and scarves. I need to also thank viewer Myra_Lotus, who kindly sent me a shipment of KnitPicks yarn to craft donation items, and several skeins were used in this batch. I am extremely fortunate to have a supportive and kind audience that wants to do outreach as much as I do. This entry was posted in Charity | Donation, Crafting, Creative, Knitting, Streaming/Broadcasting, Twitch on March 23, 2018 by GirlNovember. 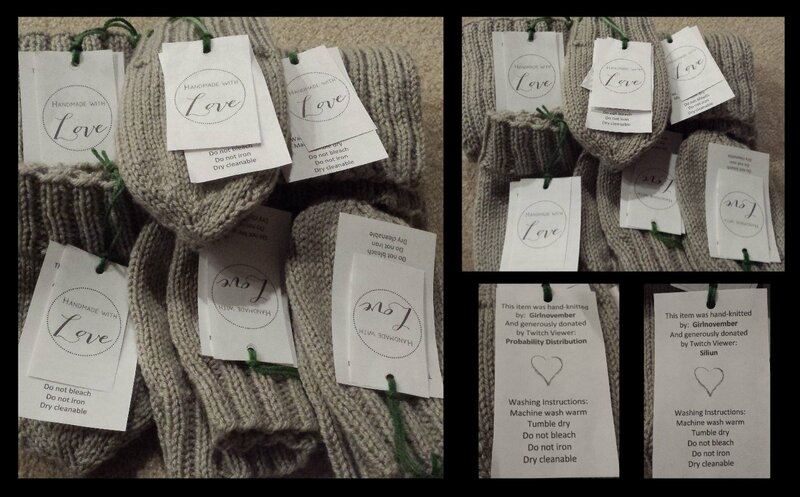 From The Heart Stitchers has received the first batch of donations shipped to them! This particular batch of scarves and hats was to support a Veterans Encampment in Ashland, VA. I want to thank two of my viewers, Probability Distribution and Siliun, for funding the yarn used in these projects. From The Heart Stitchers was very appreciative of the donations and said they’d be delivered to the group shortly. If you’d like to learn more about From The Heart Stitchers, or want to learn what items they are in critical need of, please visit their website here: https://fromtheheartstitchers.org/ . They are also on Facebook at: https://www.facebook.com/FromtheHeartStitchers/ . This entry was posted in Charity | Donation, Crafting, Creative, Knitting, Streaming/Broadcasting, Twitch on November 30, 2017 by GirlNovember.